On November 25, 2014, I was invited to discuss Eagle Talons, The Iron Horse Chronicles—Book One, with members of the Big Sky Women’s Book Club in Sun City Anthem, Henderson, Nevada. The members had recently read the book and had compiled a list of questions pertaining to the writing of the first book in my trilogy. [media-credit name=”ENC Graphic Services” align=”alignleft” width=”194″] [/media-credit]Answers to some of their questions are covered on the FAQ (frequently asked questions) page of this website. Here are two of their questions that generated extended discussion. How did I decide to make the book a trilogy? Originally, I planned to write a single book following the historical timeline covered in Stephen E. Ambrose’s informative, narrative history, Nothing Like it in the World. After completing the initial outline for such a book, I realized it would be too long for most readers, especially younger ones. I then experimented with a series of half-a-dozen books. Finally, I determined the most logical separation of the story line was to base it on the three major years of construction of the first transcontinental railroad: 1867, 1868, and 1869. This organization provided for three books of reasonable length that together covered the most significant events in the building of the railroad, while enabling the creation of three stand-alone novels, each with an interesting plot and a logical conclusion. 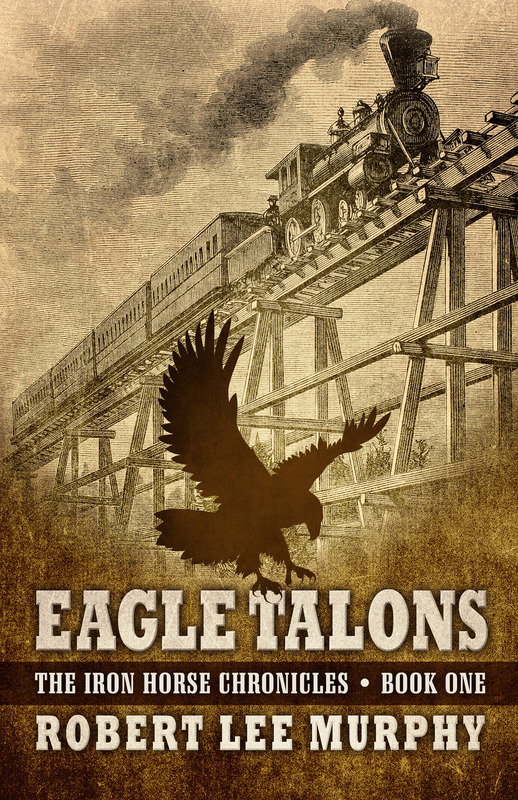 Book one, Eagle Talons, was published by Five Star Publishing on October 22, 2104. Book two, Bear Claws, has been acquired by Five Star Publishing and is scheduled for release in October 2015. Book three, Golden Spike, primarily resides in my head and on the outline I am following as I write the final book in The Iron Horse Chronicles. Do I know how the trilogy will end? Yes, I know what the climax will be. No, I do not know how the denouement will resolve itself. I’m counting on the characters to help me decide their futures as the writing of book three progresses. Will Braddock, Jenny McNabb, and Paddy O’Hannigan often take charge as I write their chapters, and they frequently cause me to change the outline to accommodate their wishes. I thank the members of the Big Sky Women’s Book Club for the privilege of speaking to them. It was personally gratifying to hear each of the members say they enjoyed reading Eagle Talons and looked forward to reading the rest of The Iron Horse Chronicles. This entry was posted in Bear Claws - Book Two, Book Review, Eagle Talons - Book One, Golden Spike - Book Three, Iron Horse Chronicles' Characters, The Iron Horse Chronicles, Transcontinental Railroad and tagged Adventure Fiction, Bear Claws, Eagle Talons, Fictional Character, First Transcontinental Railroad, Five Star Publishing, Frontier Fiction, Golden Spike, Historical Fiction, Jenny McNabb, Paddy O'Hannigan, Pioneer Life, Teen Fiction, The Iron Horse Chronicles, Western Fiction, Will Braddock, Young Adult Fiction, Young Readers. Bookmark the permalink. How wonderful to have a presentation of Eagle Talons at the Big Sky Women’s Book Club! Equally wonderful their reviews were good ones 🙂 Of course they would be, with your great story and flair for history. I can’t wait to learn more about the building of the railroad across this country. At the end of your trilogy, I’ll be an expert, indeed, Robert!